We have embarked on an exciting project to record our debut album (12 songs in total) with past and present members of the band. Years of playing, writing, laughing and performing all coming together to create an unique and eclectic album. We have funded the project ourselves this far but we've hit a block in the road. These things are expensive!!! The money you pledge will be used for mixing, mastering, duplicating, distributing and marketing our songs. We have 12 musicians in total including guest vocalists all with a different tones and qualities. We are from different musical backgrounds and walks of life but have joined forces to make a transatlantic, ericana vibe with lots of off-beat quirky zaniness.It's a celebration of the life and times of Wookalily. It's been a great experience to make this music and we hope you all get to enjoy it as well. We are using Millbank Studios in Lisburn and the much sought after and talented sound engineer Michael Mormecha. 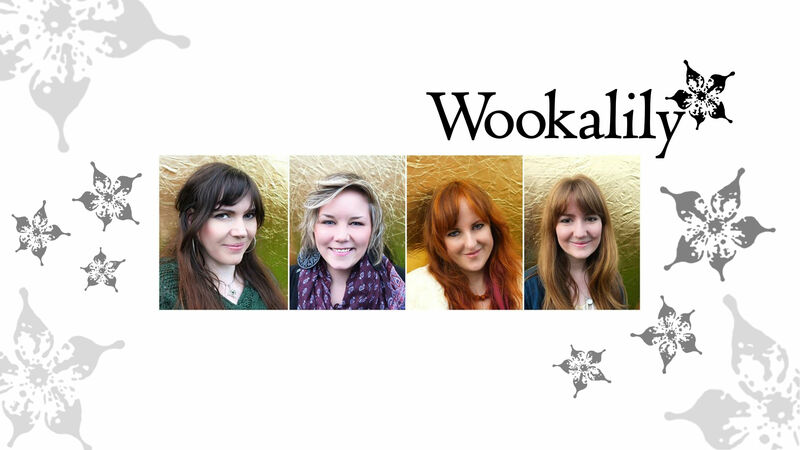 A word from Michael..."it's the first of it's kind to come out of Northern Ireland and it's been really fun to make"
To pledge click here and a big thanks in advance from all of us at Wookalily. 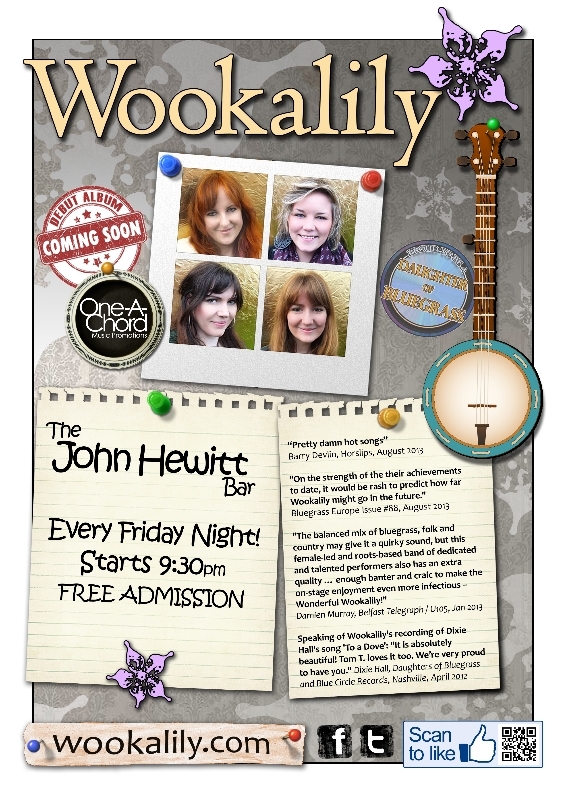 We were delighted to have launched our residency in The John Hewitt Bar, Belfast at the beginning of April this year. We have various opening acts on from 9:30pm and we take to the stage from 10pm finishing up around 11:30pm. It would lovely to see you there some Friday night. We have some more exciting gigs coming up throughout the year. For tour dates click here. We are also excited to be working on tour dates of US for 2015. Watch this space!! !